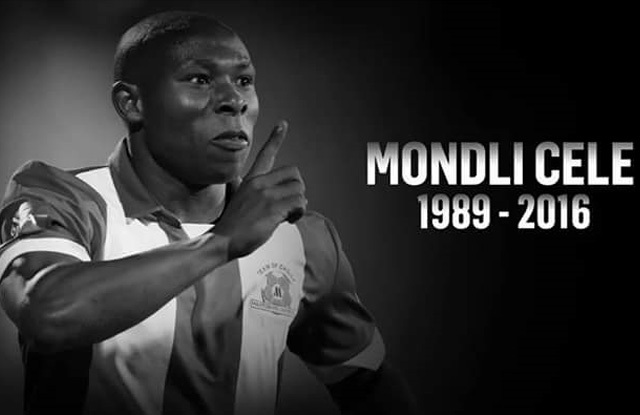 A humble and well-loved man, the passing of Team of Choice midfielder Mondli Cele has left a great sadness across the entire South African football fraternity. Team-mate John Paintsil: "For me, it is a big shock because he is more of like my son. He's very close to me. At the moment, I don't know what to say, my heart is broke, I'm hurt." Orlando Pirates’ Ayanda Gcaba: ‘It’s really sad to hear this that umkhaya Wami Mondli Cele passed away last nite RIP boy u will be remembered.’ wrote Orlando Pirates’ Ayanda Gcaba. Sports Minister Fikile Mbalula: “I watched him play on Saturday [night] as he landed the opening goal, leading his club to a 3-3 draw with Orlando Pirates. I did not know I was watching him play for the last time. South African football has lost one of its brightest stars and is poorer without him.